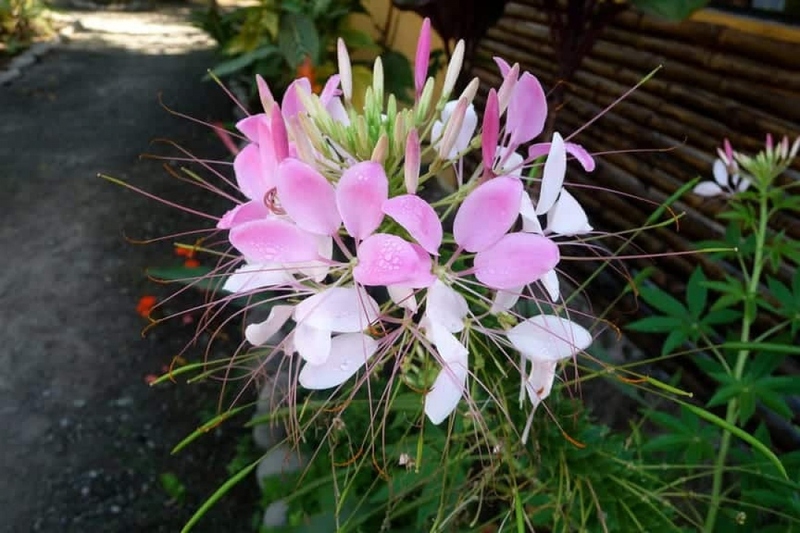 Spider flower (Cleome spinosa): growing, planting, caring. A half-hardy annual with amazing flowers. 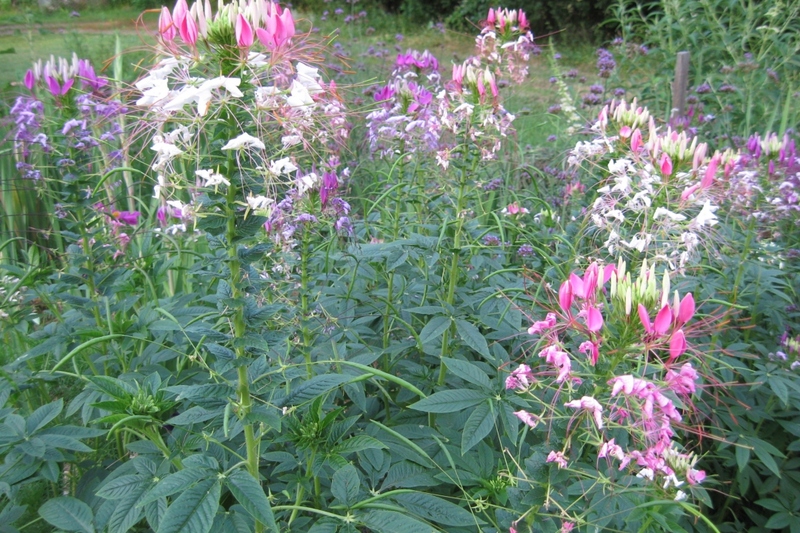 Full description for Cleome spinosa not yet available. Outside: Sow your seeds of cleomes, in open soil from the month of April. Be careful, emergence is sometimes slow, up to 15 days. Soak the seeds in water for 24 hours before sowing to speed it up. Inside: You can sow under shelter in March, in a "warm" room (18 °), to obtain earlier plants to put in place from May. Do not forget to soak the seeds to speed up the emergence. If you buy potted seedlings, you can plant in early May for mild climates and a little later in the more northerly regions. Choose a warm and sunny place: without sun, the cleomes do not bloom well. Avoid situations that are too windy, it bends the stems, and avoid soils that are too heavy and too compact, it maintain moisture at the expense of plants. The cleomes need space: plant them every 50 cm. Note: the stems of cleomes are often balding at the base. So place them behind lower plants that it! You can also cultivate them in a large pot placed in a sunny place. Mulch between plants one to two weeks after planting, using dried leaves or crushed wood (or any other mulch that retains moisture). This will limit evaporation at ground level, and therefore the need for watering and weeding. Cleomes grown in pots or planters should be watered when the soil surface dries. Prefer watering in the morning. For plants indoors, be careful not to wet the leaves (this favors mushrooms), and provide them with a dish under the pot. For open soil crops, watering is done only the first weeks after sowing and planting. Watering after sowing should be gentle. Watering after planting / transplanting is done with a spray or watering cannula, taking care not to wet the leaves. If you have sown under shelter, you can plant in early May for mild climates and a little later in the more northerly regions. Choose a warm and sunny place: without sun, the cleomes do not bloom well. Avoid situations that are too windy, it bends the stems, and avoid soils that are too heavy and too compact, it maintain moisture at the expense of plants. The cleomes need space: plant them every 50 cm. Note: the stems of cleomes are often balding at the base. So place them behind lower plants that it! You can also cultivate them in a large pot placed in a sunny place. The cleomes can't withstand freezing, then only one solution: you will need to sow again next year! In the meantime, after flowering, clean the plots to accommodate new plants, gently pulling the stems that should come gently, including roots - or use a spade if it resists!